No matter where you’re coming from or going to, you can Pack for a Purpose. This is confirmed every month by the PfaP travelers who share their stories about how they added more meaning to their trips. In the month of November, three women from three different countries shared their PfaP success stories. Terri Stanfield, a travel agent from California, made her trip go farther than the miles she traveled when she Packed for a Purpose. 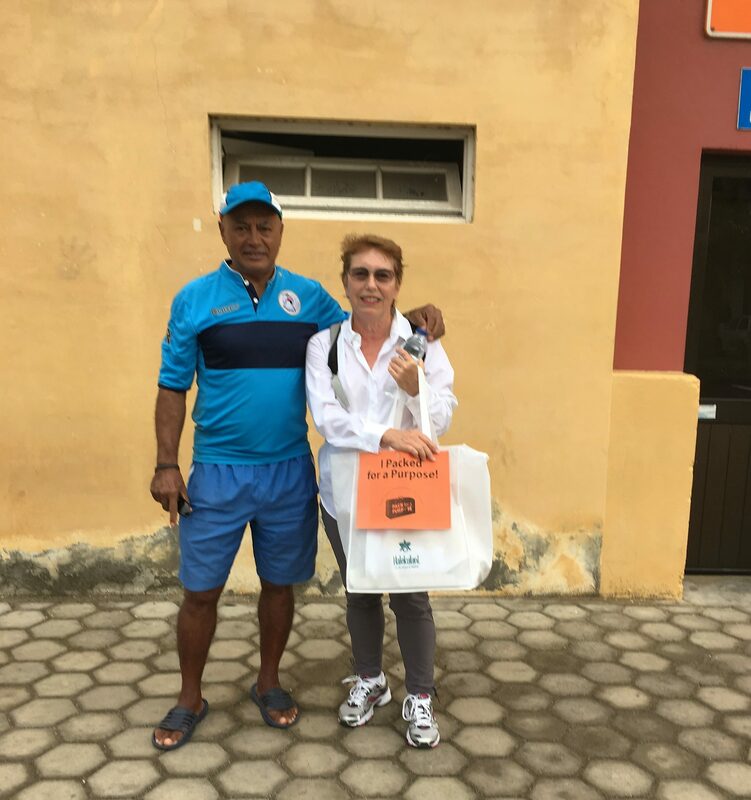 While on a cruise to West African ports, Terri dropped off supplies for the project supported by Mindelo Apartments at Porto Grande, Cape Verde island. “What a pleasure and great satisfaction for a mission accomplished,” Terri said. Read Terri’s story here. Elly de Swart, from the Netherlands, learned about Pack for a Purpose through her travel agent. She, her husband, and another couple dropped off four packages of needed supplies on their trip to India. 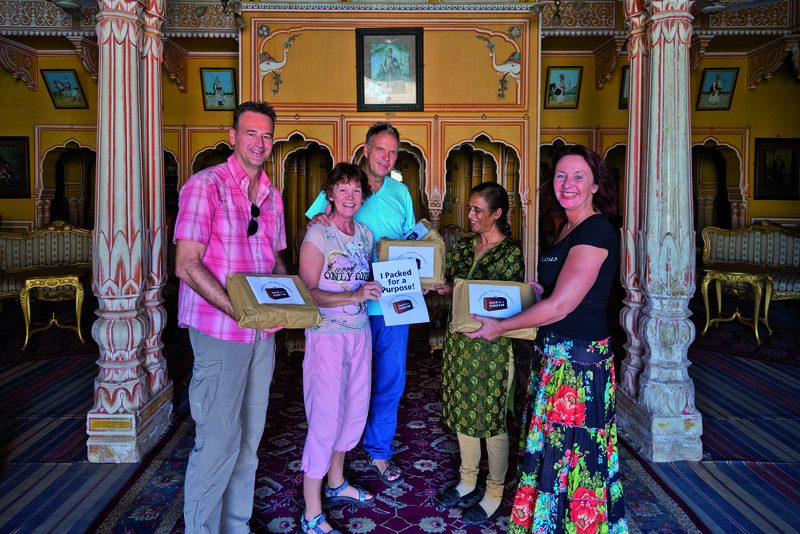 The school supplies they took benefit the Indo International School supported by Dundlod Fort. The school serves more than 550 students. Read Elly’s story here. 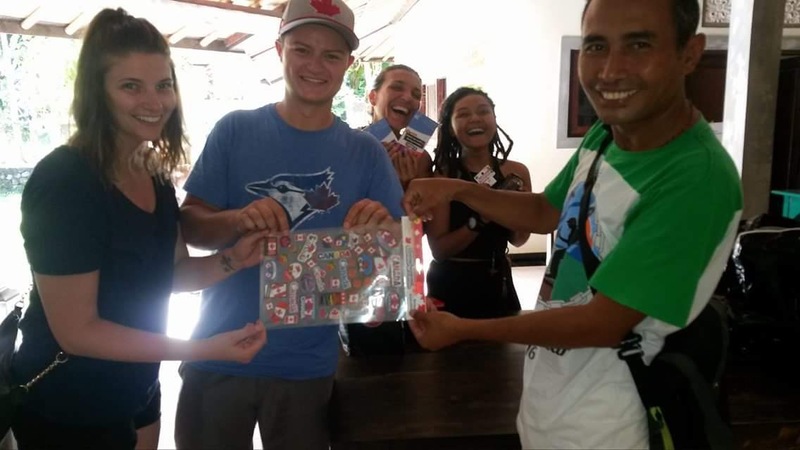 Alana Howard, from Canada, made a Big Impact when she and her boyfriend Packed for a Purpose on their trip to Bali, Indonesia. She delivered supplies for a nonprofit school supported by Zen Dive Bali and had the opportunity to meet some of the teachers. “It has been such an amazing experience, and I still communicate with them occasionally,” Alana said. Read Alana’s story here. Pack for a Purpose is grateful to all PfaP travelers who, in addition to delivering supplies, also spread the word by sharing their stories about how simple it is to add meaning to every trip. Click here to learn how you can easily Pack for a Purpose on your next vacation or business trip.